Dear reader our post length is shrinking as we are discussing more specific term and trying to differentiate one term from other. 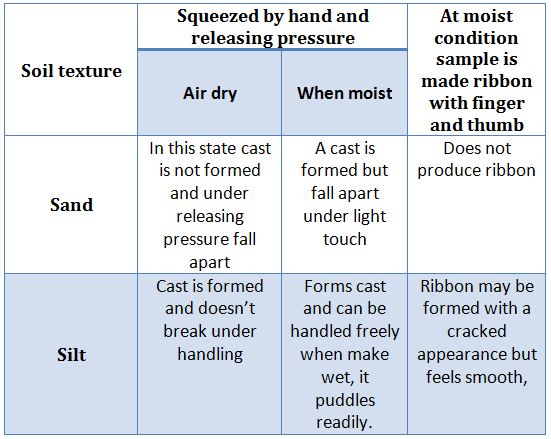 We have already have learned about sand and silt in our previous post. Here we are providing field identification method to differentiate silt from sand in field before sample reaching to laboratory. Particles size difference between two types of soil has discussed in last post. It is very difficult to distinguish fines and from silt by normal visual examination. 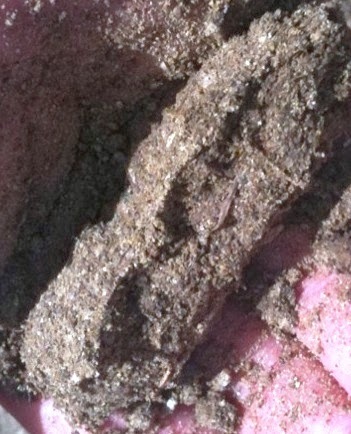 Silt may appear little darker than sand in color. But we can include dispersion test which can differentiate two types of soil. In this test, a spoonful soil sample is poured into a jar filled with water. Two soils perform clearly distinguishable setting phenomena. If sample contains sand, it takes only one to two minutes to settle down. But if it is silt, a setting time may extend up to 15 minutes to an hour. But there have a similarity in both soil samples; this is, ultimately nothing is found in the suspension.